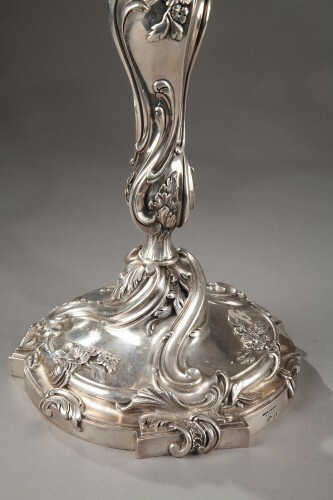 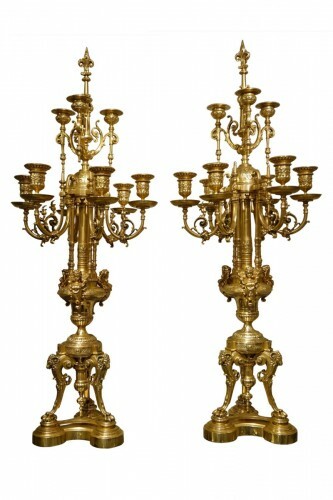 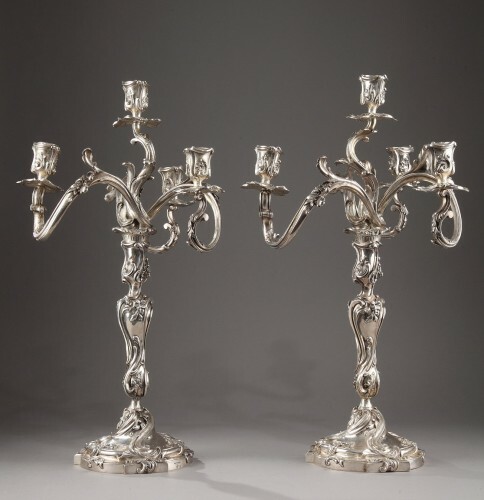 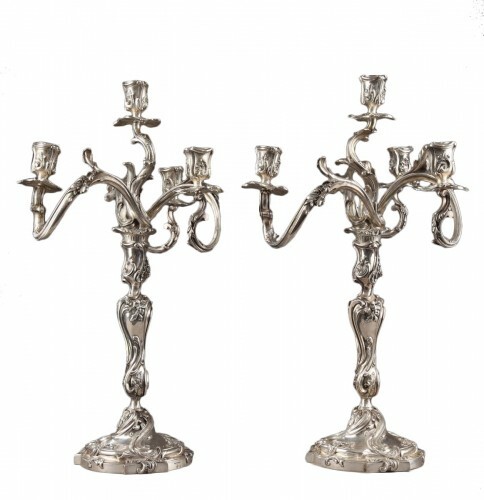 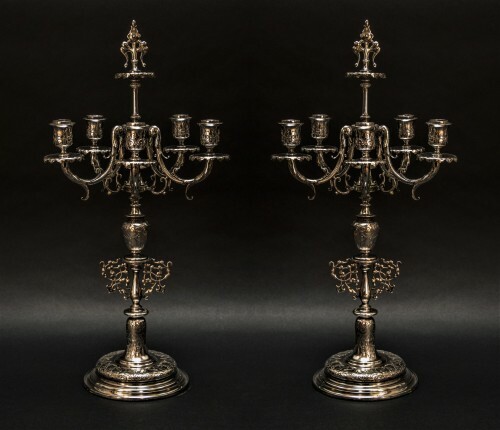 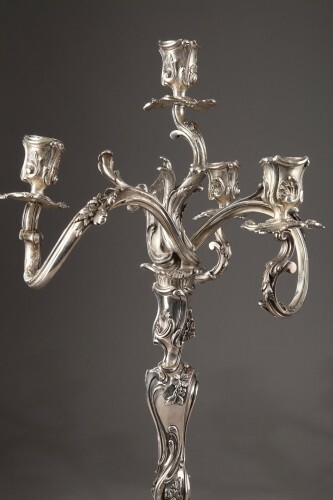 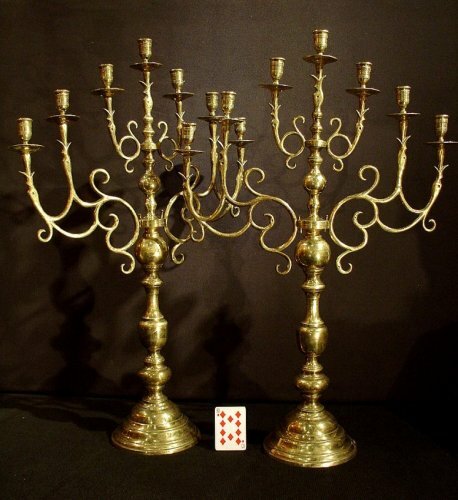 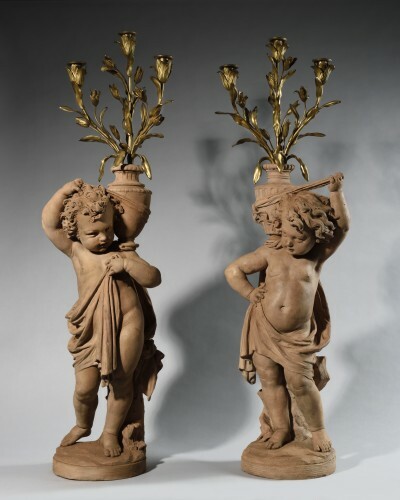 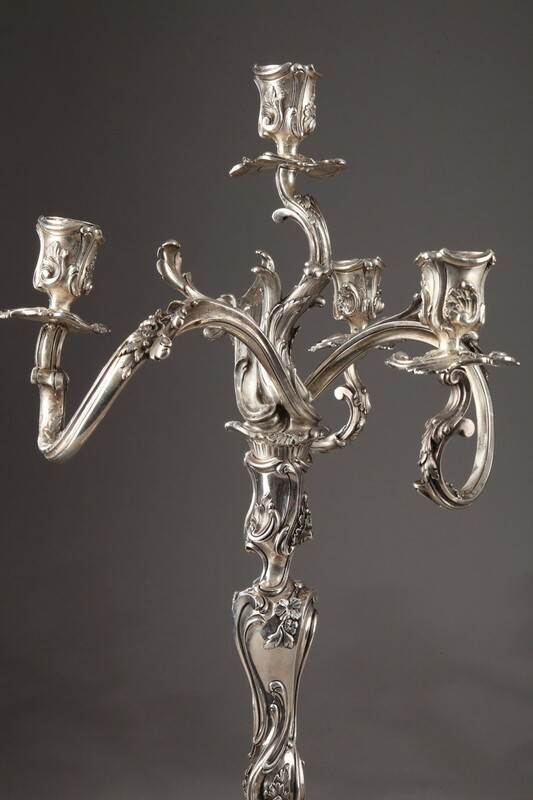 Pair of Louis XV style candelabras in silver with rocailles decor and asymmetrical ornamentation. 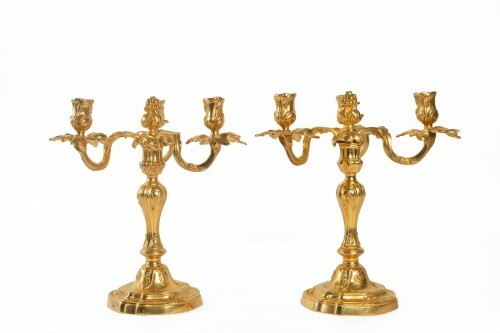 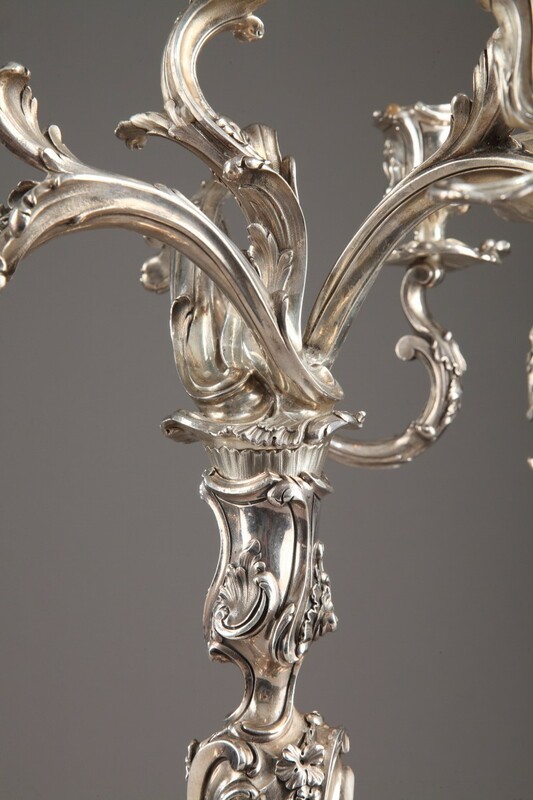 The four arms of light ending in bobèches binettes are finely chiseled with stylized rinses, foliage and flowers. 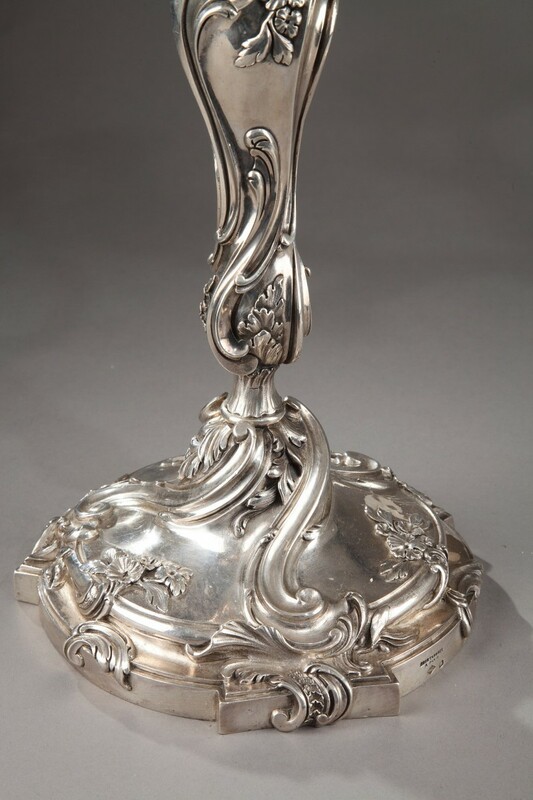 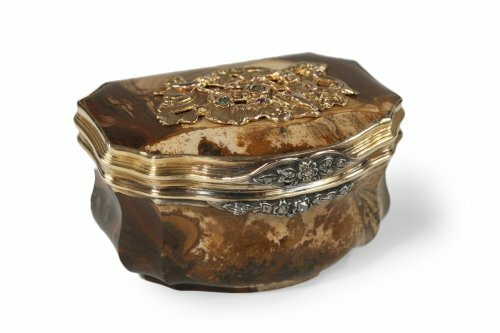 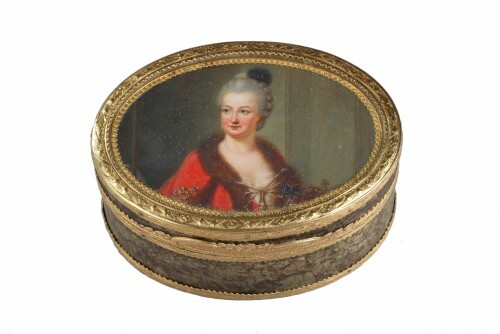 Emile Taburet, jeweller, exhibits in 1880 at the exhibition of the central Union of decorative Arts. 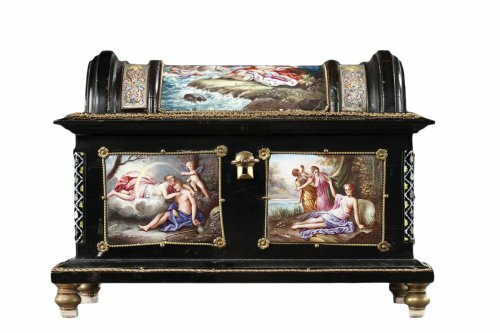 His punch was crossed out in 1881. 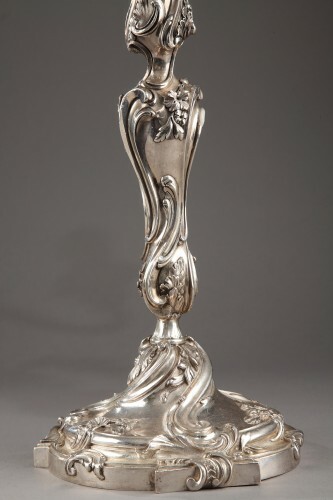 He joined forces with his son-in-law, Georges Boin antique dealer, under the name "Boin-Taburet " circa 1880. together, they exhibited at the Paris World Fair in 1889 where they won many medals.